Pantothenic acid is essential to all forms of life. It is another of the vitamins you need to create energy from your food. Vitamin B5 is key to making the special fats that cover your nerves. This covering or lining is called a nerve sheath. Itâs needed to pass messages along your nerves to all your tissues. Vitamin B5 helps regulate the production of cholesterol and your major hormones. B5 is needed to make hemoglobin to carry oxygen in your red blood cells. Your liver uses it to break down many drugs and environmental toxins. 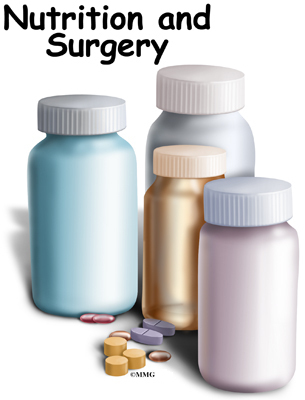 Some surgeons might worry that vitamin E will cause too much bleeding during surgery. The Food and Nutrition Board of the Institute of Medicine established a tolerable upper intake level (UL) for vitamin E supplements. The Food and Nutrition Board reviewed the research thatâs been done. They published a statement that 1,000 mg/day of vitamin E would be the highest safe dose. The scientists at the Institute of Medicine have found that doses of vitamin E as high as 1,000 mg daily are unlikely to result in bleeding in almost all adults. 1,000 mg of vitamin E equals about 1,500 IU. Most supplements contain between 200 IU and 800 IU. Recently, studies showed that synthetic (man made) beta-carotene caused an increase in lung cancer in smokers. When natural beta-carotene was used, no increase in cancer was seen. Natural beta-carotene has been shown to have antioxidant activity that isnât found in the synthetic form. The suggested dose of beta-carotene is 5 to 6 milligrams (10,000 IU) up to 15 mg (25,000 IU) per day. Medical experts have set a vitamin D dose recommendation of 400 to 800 IU/day for healthy children and adults(based on age). For example, infants up to one year should take 600 IUs of vitamin D daily. Children one year old and adults up to age 70 are advised to take 600 IUs. Adults over age 70 should bump the recommended daily allowance up to 800 IUs. Monitoring for signs of vitamin D toxicity is recommended for anyone taking more than 4000 IUs per day. Signs of toxicity include gastrointestinal distress (e.g., nausea, vomiting, poor appetite), weakness, weight loss, increased urination, and heart palpitations.Vitamin D toxicity doesn't result from sun exposure. Certain medical conditions can increase the risk of too much blood calcium in response to vitamin D. Check with your doctor to be sure you do not have a condition that increases your risk for too much blood calcium. This is important before you take more than 800 IU of vitamin D for a long time. Several studies have found that elderly people tend to have low dietary intakes of magnesium. Intestinal magnesium absorption tends to decrease in older adults, too. And the amount of magnesium lost through urine tends to increase in older people. If you are older than 50 years and are extra stressed by injury, disease, or surgery, supplementing magnesium intake is important to be sure you have the nutrition youâll need to recover fully.